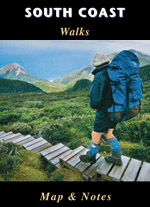 The Port Davey and South Coast tracks lie within the Tasmanian Wilerness World Heritage Area and are part of the Southwest National Park. There are no roads, no power lines and few modern conveniences The walks take the visitor to the southern extremity of an island at the world's end. This is wilderness.